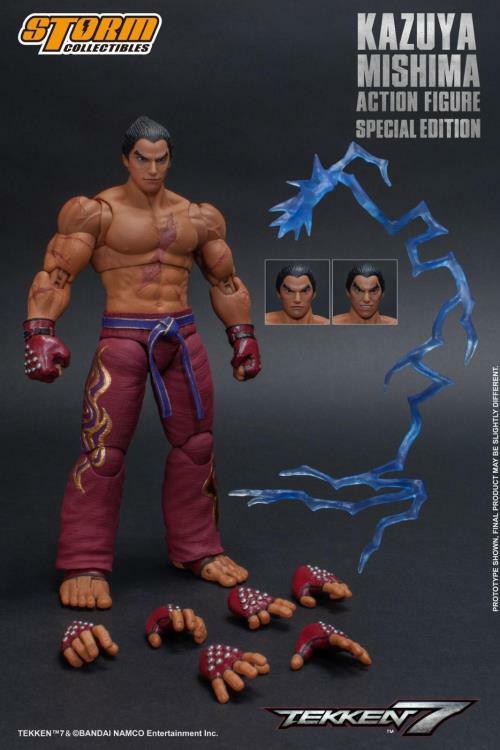 This figure features one of the main characters in the Tekken series, Kazuya the son of Heihachi Mishima and Kazumi Mishima. 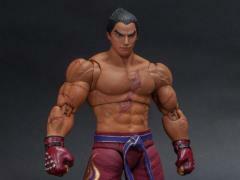 Raised as the heir to the Mishima Zaibstsu, Kazuya rebelled against his father Heihachi. After awakening the power of the devil within him, he’s finally able to control it. This special edition features a unique maroon outfit coloration.